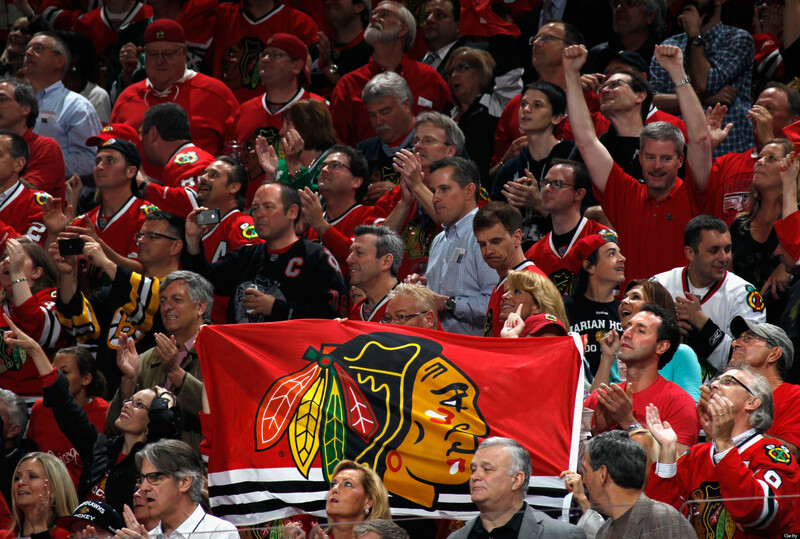 CHICAGO, IL—With the NHL regular season starting today, Bears fans across the city are celebrating the Blackhawks’ season opener. “I am so excited for the Blackhawks to start playing,” said Jerry Dawson, a lifelong Chicago Bears fan and avid supporter of quarterback Jay Cutler. Sources confirmed that Bears fans have been replacing Bears flags, banners, posters, and bumper stickers with Blackhawks themed merchandise in an effort to show support for their favorite team. One report showed that Bears fans have been purchasing thousands of Blackhawks tickets to Saturday’s game against the Buffalo Sabres in an effort to see their team win a home game. All Bears fans, however, are most excited about the real possibility of watching their hockey team make the post-season playoffs. “We are so very much looking forward to a winning [Blackhawks] season.” In related news, Chicago Cubs fans are celebrating the 10th day of the offseason.